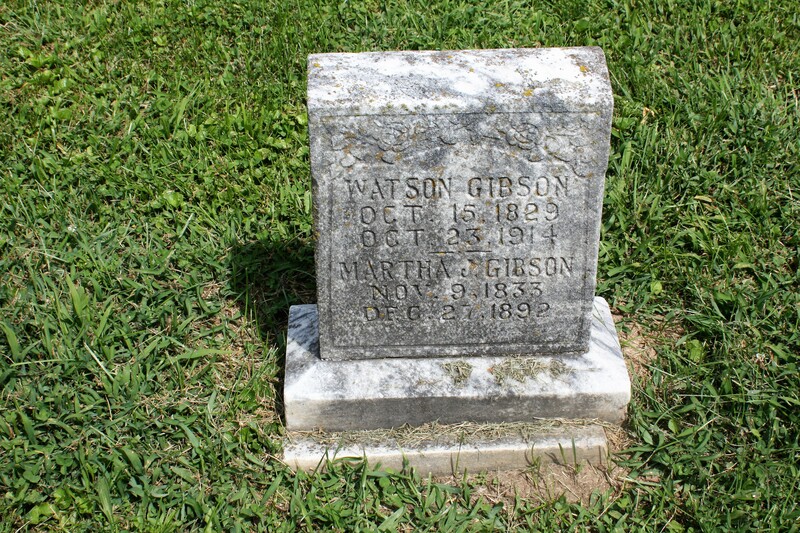 Watson Gibson, October 15, 1829 – October 23, 1914. Martha J. Gibson, November 9, 1833 – December 27, 1892. Shawnee Run Baptist Cemetery, Mercer County, Kentucky. After many months illness Mr. Watt Gibson, aged eighty-five years. died last Saturday night at the home of his daughter, Mrs. Lucy Welch, who had so faithfully cared for her aged father in the last days and very helpless condition. “Uncle” Watt had been a faithful member of the Baptist church at Burgin for years. The funeral was conducted at Shawnee Run Monday at 11 o’clock by Brother W. D. Moore, followed by burial in the adjacent cemetery.